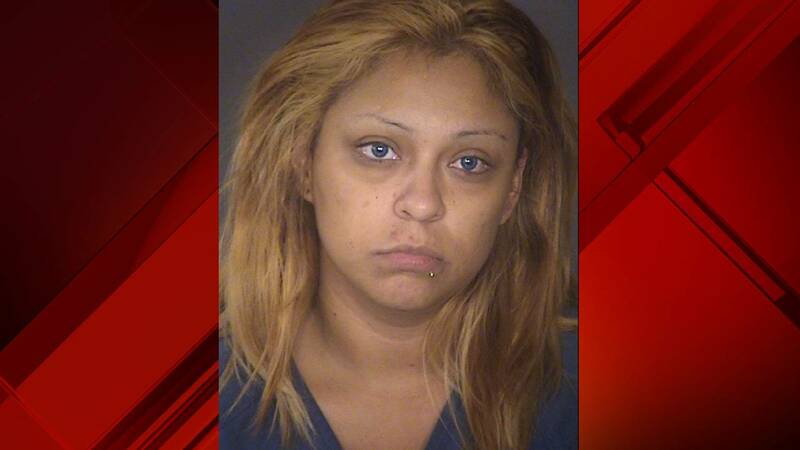 SAN ANTONIO - San Antonio police arrested a 27-year-old woman who authorities said stole several clothing items from an adult store after telling the cashier the total price was too high. The woman, identified as Estella Acevedo, is now being charged with a second-degree felony. According to an arrest affidavit, Acevedo walked into the Adam and Eve adult store located in the 6900 block of San Pedro Avenue, July 24 around 9 p.m.
A woman who was working as the store's cashier told police she saw Acevedo grab several clothing items and walk to the counter with them. When she rang up the merchandise, Acevedo told her the price was too much but ran out of the store with the items, the affidavit said. According to the affidavit, the woman chased Acevedo to the back of the store, where Acevedo began hitting her in the face and arms with a stick. After Acevedo ran away, leaving the stolen items behind, the victim found Acevedo's wallet and cellphone on the ground, according to the affidavit. Acevedo is now being charged with robbery and is in custody at the Bexar County Jail in lieu of a $20,000 bond.